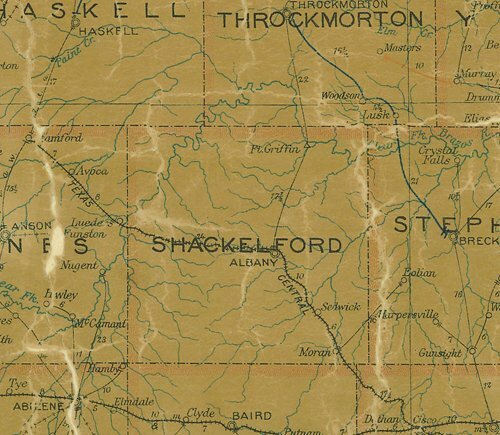 Sedwick, TX, Shackelford County ghost town history, photos, vintage map. It was originally known as Vesta when it was founded about 1875. 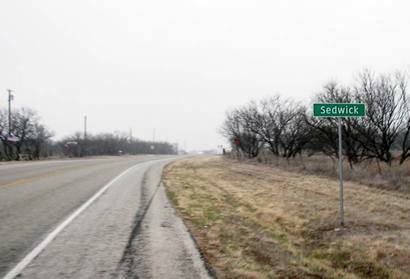 The name was changed to honor local landowner John Francis Sedwick when the community became a station on the Texas Central Railroad. A cotton gin was built about 1900, and a post office was established in 1905 with Maude S. Randolph as postmistress. Sedwick grew suddenly when oil was discovered nearby in 1921, although by 1940 the population was only fifty, where it remained for about twenty years before declining. 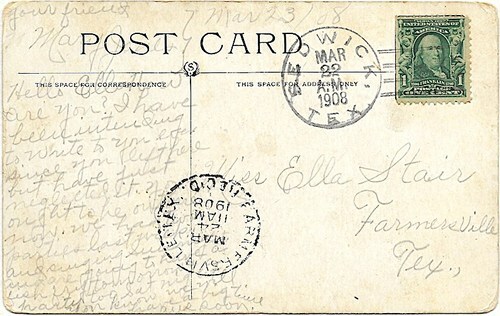 The post office closed in the mid-1930s. The community was still listed in the 2000 detailed county map.